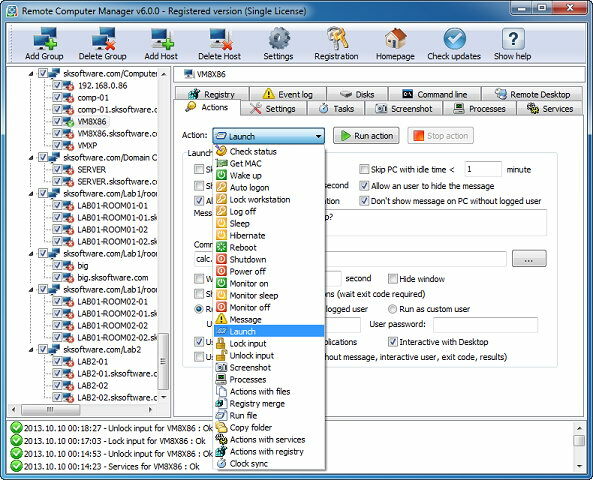 Remote Computer Manager is a network utility for remote computer management. The program allow network administrators to centrally manage network PCs and make: remote desktop control, remote shutdown, run (execute) commands, launch applications and processes, Wake-on-LAN over IPv4, Wake on LAN over IPv6, lock workstation, log on, log off, sleep, hibernate, wake up, reboot, power on, power off, lock and unlock input devices, registry merge, file copy, installation of MSI packages, clock (time) synchronization and other remote operations for computers on network (Windows and Linux PCs). Using Remote Computer Manager you can perform a remote shutdown, power on (turn on), power off (turn off) and restart (reset) the remote computer with Intel AMT (Active Management Technology) and AMD DASH (Desktop and Mobile Architecture for System Hardware). The program can also get the list of remote processes and services, netstat information, screenshot, entries from registry, entries from event log and other details for each PC. 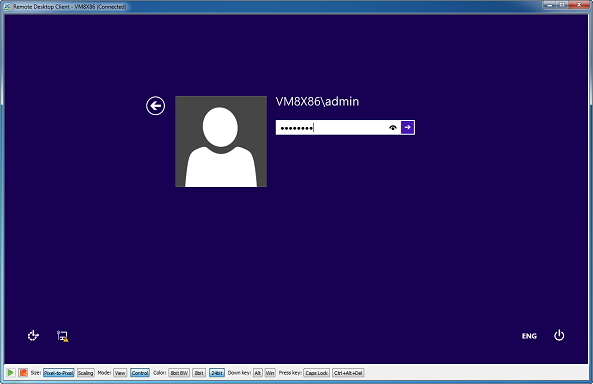 Using the application you can make remote operations on one or multiple network computers with one click. Remote operations can be executed automatically according with defined schedule, so you can organize fully automatic computer management for your company. The software supports IPv4 and IPv6 protocol and can be run as a service. Windows XP, 2003, Vista, 2008, 7, 8, 10, 2012. 32-bit or 64-bit. Net Framework is not required. Actions with processes (Get list, create and terminate process) on remote computers.